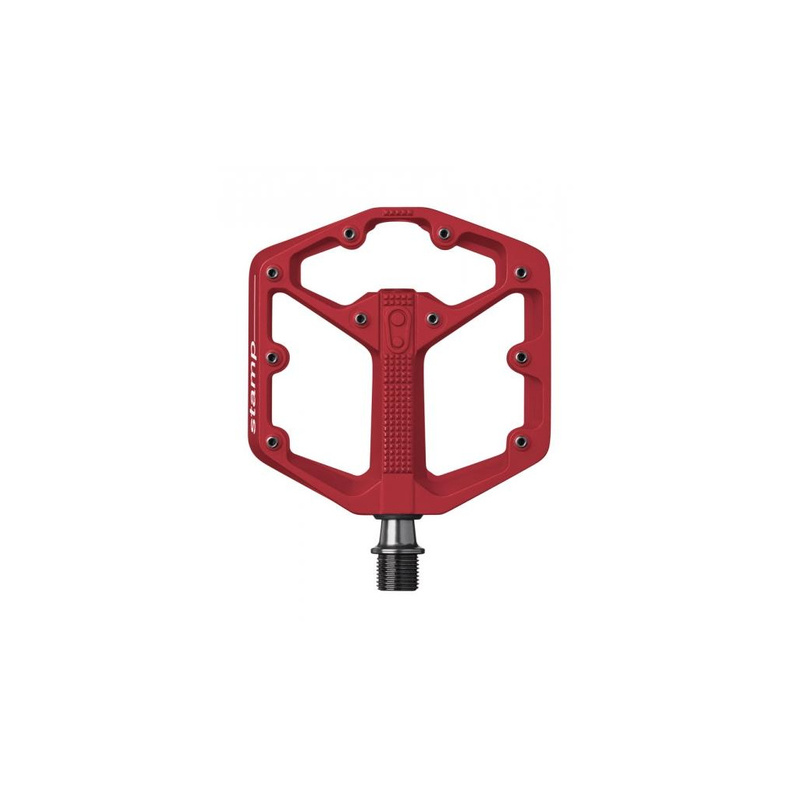 The new flat pedal from crankbrothers is engineered to provide the optimal interface between shoe and pedal. The outsole profiles of the top mountain bike show brands were analysed and the data used to create two distinct surface areas to optimise shoe/pedal contact across all of these different models. The small is designed for EU shoe sizes from 37-43, and 43-49 for large. Once the optimal sizes had been established the features required for the ideal flat pedal were also incorporated. 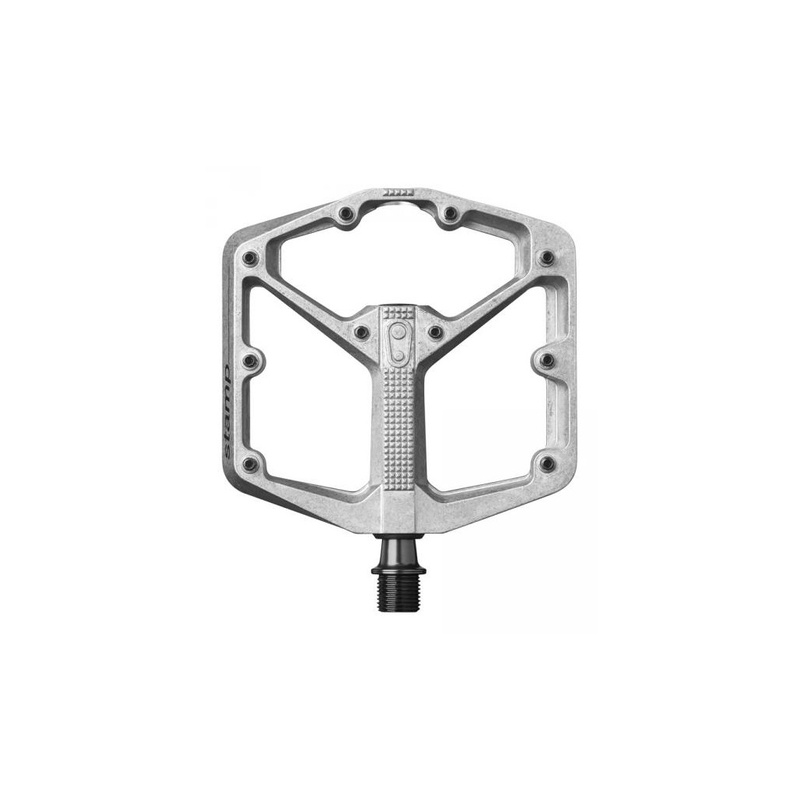 Level 2 stamp pedals use the same axle and premium internal components as the crankbrothers clip-in range of pedals allowing for ease of service and maintenance. 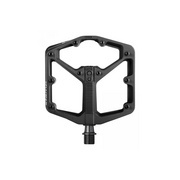 20 adjustable pins per pedal. 8mm in the centre of the pedal and 10mm on the outer edges. 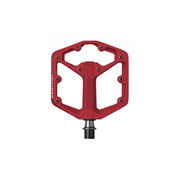 Outer enduro cartridge bearing is designed specifically for pedals. Enduro use superior materials, grease and sealing on their bearings which are designed especially for use on a bike. Inner igus LL-glide bearing has been exclusively formulated for crankbrothers. It performs in even the most adverse conditions out on the trails. 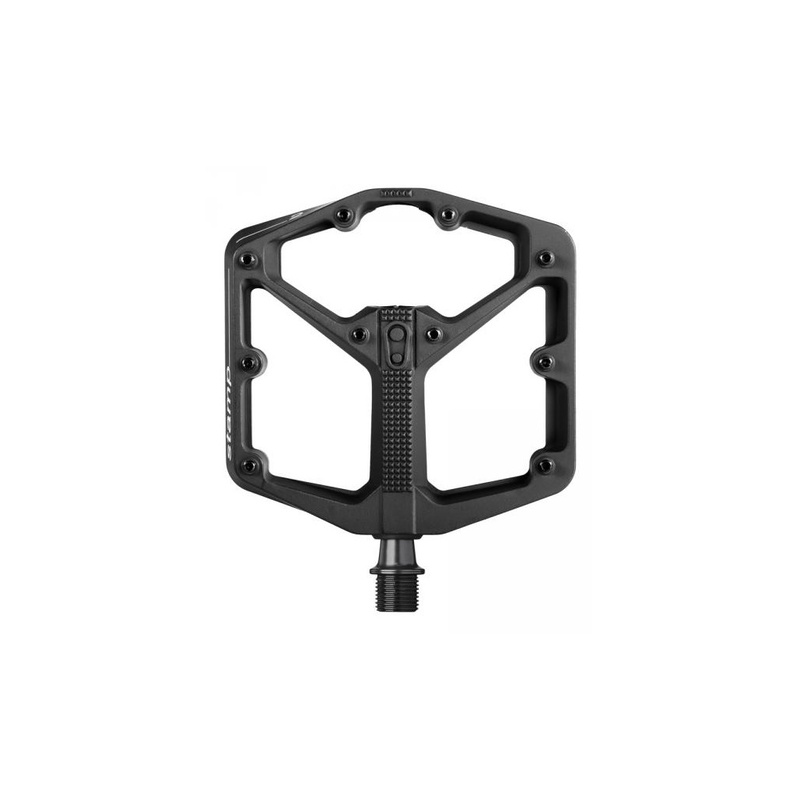 crankbrothers pedals are fully re-buildable for simple maintenance. 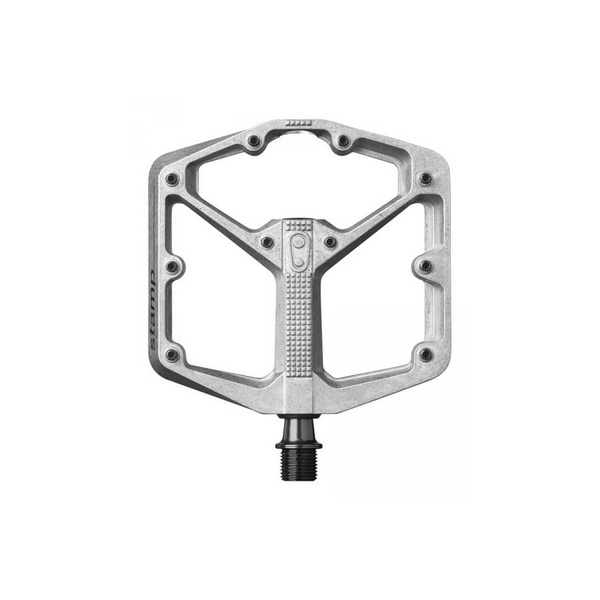 There is a consistency in parts across all pedal models, which allows for ease of servicing, this is easily done using the pedal refresh kit (CRB-16051).